Traveling To Copenhagen? Check The Smart Tips Here! Culture, history, architecture, awesome food, great infrastructure – Copenhagen has it all! Counted among the happiest cities in the world, the Danish capital is every traveler’s delight. In this post, we bring a few smart tips that will help in exploring Copenhagen. Copenhagen is one of the most cycling-friendly cities you will come across, and renting a bike here is always encouraged. Even Copenhageners take the bike whenever possible. You will find rental companies offering bikes with a tablet for GPS navigation. This is also the cheapest way to get around. Among other things, waterways of Copenhagen are pretty well known. 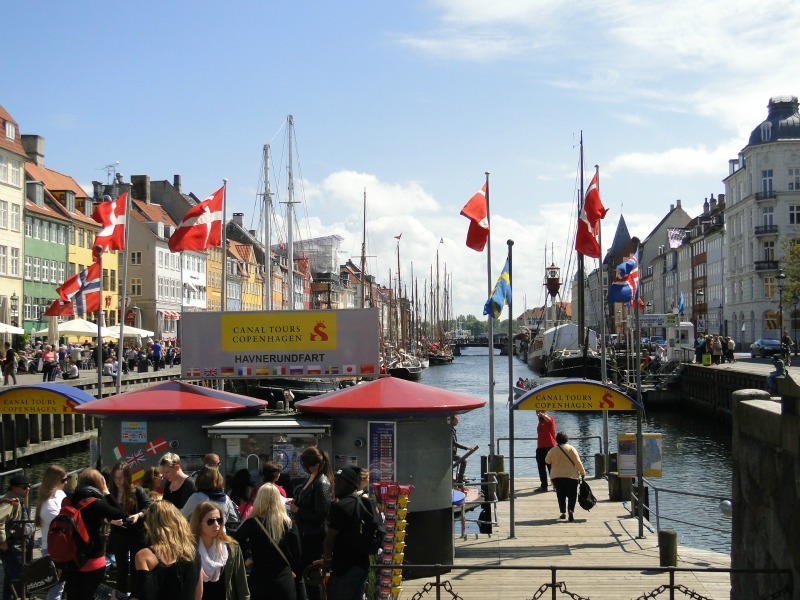 Around the historic harbor area of Nyhavn, you will find organized boat tours, which is a great way to explore the city. We also recommend that you get the Copenhagen card, which assures access to over 75 attractions and public transport. While Copenhagen has some good hotels, you can explore more and have better privacy at a serviced apartment. Copenhagen vacation rentals may seem expensive, but you get more than what you would expect at a hotel. This is also an economical choice for those traveling in groups, and definitely for honeymooners. Nordic cuisine can be very different for those who haven’t explored it, but at its best, you can find everything from cold cuts, fresh seafood to meatballs and smørrebrød. A lot of people also love fish and chips here. We recommend that you look for Market Torvehallerne for local food, and if you want to try steaks and craft beers, head to Papirøen or Paper Island. You cannot come to Copenhagen and miss Tivoli Gardens, which is one of the oldest amusement parks in the world. The park opened in 1843 and since then, it has been offering amazing carousals, rollercoaster rides and other thrilling options. Another choice is Bakken, which is officially known as the oldest operating amusement park in the world. Copenhagen is magical, and for many, it offers an experience in Europe like no other. If you are coming here for the first time, make sure that you book stays in advance and make itinerary of the things you want to do, because it is almost impossible to fit in everything. Check online now to find more on stays and tickets to the city. © 2019 - Travel And Graphs. All Rights Reserved.